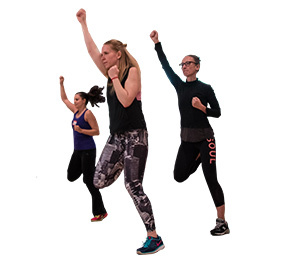 Prime your body, mind and heart this sweat-dripping, heart-pumping, mood-lifting cardio class (think dance meets kickboxing meets yoga) that infuses powerful, positive spoken affirmations to take your transformation from purely physical to totally holistic. Move your body, free your mind, amplify your greatness. Take action now by attending an intenSati class with Patricia or one of our soulful leaders. Get your intenSati fix at any time, in any place. Experience one of the deepest transformations of your life and bring this revolutionary practice to your community.